So, Wimbledon is over for another year and as the nation basks in the glow of Murray's victory, Mr TG settles back for six weeks of cricket as England and Australia battle it out on various pitches across England, to see who will win the tiniest cup in the history of sport. Yes, it's time for Ashes 2013, which kicked off at Trent Bridge on July 10th and will go on until August 25th, during which time, Mr TG's humour will depend on the performance of the England team against their old adversaries, the Aussies. 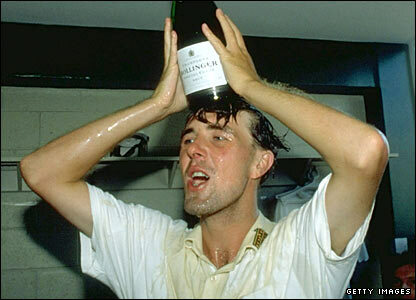 The term, 'The Ashes' came about as a satirical comment made by the press after a game at the Oval when England were beaten by the Australians for the first time, on home ground. In the aftermath of that game, a satirical obituary was published in the Sporting Times, in which it claimed, the game of cricket had died and 'the body will be cremated and the ashes taken to Australia'. The subsequent, series played between the two teams in Australia in 1882-83 was jokingly dubbed by the newspapers as England's bid to bring home the Ashes of English Cricket. The tiny trophy which has become synonymous with game, is not in fact the actual trophy that was originally presented and is reputed to contain the ashes of a cricket ball. The original terracotta urn has remained at the Melbourne cricket club since it was presented at the end of the 1882-3 series. The actual trophy is a Waterford crystal reproduction of this and is actually quite impressive, but the media and the cricketers themselves can never pass up the comic opportunity of holding aloft a palm sized terracotta copy. Despite Mr TG's great love of the game and the fact that we live within shouting distance of the Essex County Ground, I have managed to remain blissfully uneducated in the nuances of the game. In fact, I will actually be attending a Twenty Twenty game on sunday, but I look at as an opportunity for a picnic more than anything else. Expect to hear quite a lot from me on twitter that day... So, I feel it's in my best interests to come up with a cocktail or two to make the experience a little bit more fabulous and I'm sure , for those that love the game, it will be all the more enhanced by one of these. I took as my inspiration, two cricketing greats, who are as well known for their off pitch personas as they are for their cricketing prowess; Phil 'the cat' Tufnell and Andrew 'Freddy' Flintoff seemed appropriate choices for cocktail monickers, given their, shall we say, 'fun loving' reputations. 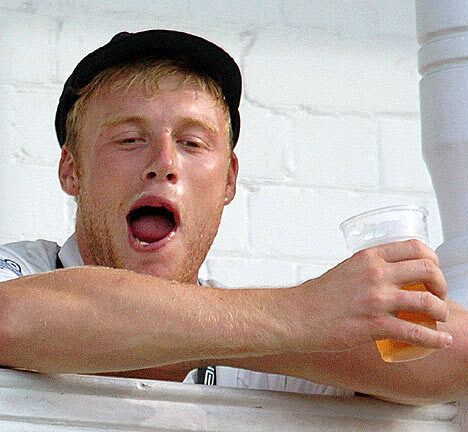 The Tufnell cocktail is a drink with a herbal twist, owing to ex-team-mate, Atherton's claim that Tuffers was partial to the, more than occasional, herbal smoke and The Flintoff is a potentially lethal mix of rum and beer that is quite liable to fuel an attempt at crossing the high seas in a pedalo. The Tufnell cocktail requires a small amount of rosemary syrup which can be made quite simply by following this recipe. 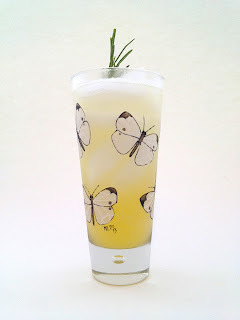 Rosemary Syrup (click here for recipe). The tequila was purchased from Tesco and the Chase Elderflower liqueur from the wonderful people at Amathus Drinks. Muddle the pear in the bottom of a shaker then pass through a sieve so only the juice remains. Alternatively blitz it in a blender, which will give a slightly thicker consistency - both are fine. Add the pear juice and rest of the ingredients, apart from the sprig of rosemary, to the cocktail shaker and shake hard. Strain the contents of the shaker into a tall glass, filled with ice and top with a little sparkling water. 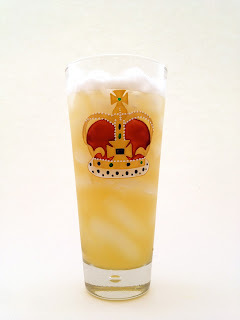 Add the rum, lemon and syrup to a shaker with ice and shake hard. Open the shaker, add the beer and stir carefully, with a bar spoon to combine all of the ingredients. Strain into a tall beer glass, filled with ice.